INALFA Electronic Data Interchange is the required way of business communication. These requirements are in line with a long-term strategy to harmonize currently existing EDI connections and standards with all suppliers. In order to setup the EDI communication, the EDI application agreement must be filled in and returned. 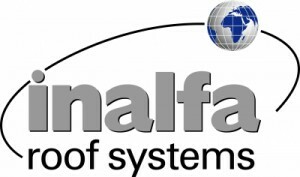 The supplier accepts that EDI (format EDIFACT) or Web-EDI shall be used for all delivery related information and data exchange, including the receipt of Delivery Schedules from INALFA. If this standard is not possible to implement and if it is allowed by INALFA, alternative VDA, ODETTE or ANSI X12 message formats can be used instead. In justified exceptional cases and upon discretion of INALFA, communication may also take place via e-mail. The scheduling of each EDI connection will be agreed with the INALFA ICT Department. For suppliers with only one single part number or if an EDI connection is technically not possible, a Web-EDI application can be used instead. This Web-EDI application is available at the Inalfa Supplier Web-EDI Portal. After requesting login details to access the Web-EDI portal, an online training will be provided by INALFA Logistics. The Advance Shipping Notification (ASN) must be provided within 30 minutes after loading of the goods at supplier. The ASN is an EDI formatted electronic notification of pending deliveries; an electronic packing list. The ASN is used to list the contents of the shipment. By sending this ASN INALFA is able to execute a material receipt for the shipment and the supplier provides information to INALFA Material Receipt in advance of delivery. In case of incorrect or missing ASN, supplier will be informed by means of a logistic-NCR. An NCR will be send out to the supplier and needs to be followed up by Supplier 8D-report.